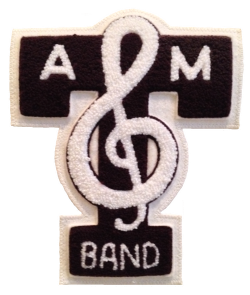 This page is intended for all former Aggie Bandsmen to order a new Aggie Band sweater. We recently switched sweater providers and with it, changed the main color of the sweater to gray. However, you still have the opportunity to buy either a white or gray sweater using the form below. 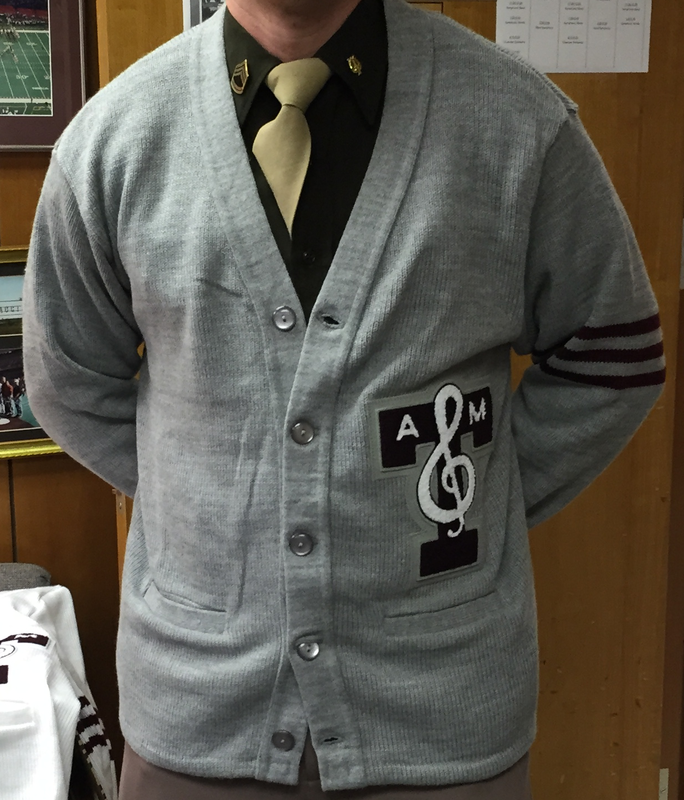 A picture of a cadet modeling the new sweater can be found above - click on the image to view a larger version of the sweater. We are giving all former bandsmen an opportunity to purchase one of the new sweaters on the form below. We are not using this as a fundraising event as we want all former bandsmen to be able to get one of these new sweaters at a reasonable price so we are offering the sweaters at our cost ($75) plus shipping ($15) for a total of $90. Simply fill out the form below to order your new sweater. Please note the turnaround time from the date of your order until you receive the sweater is approximately two months. ** Enter the size of your sweater above using the suit coat sizing convention - i.e., 44R, 48L, etc. Please enter only even numbers followed by sleeve length - e.g., S = Short, R = Regular, L = Long, XL = Extra Long. See the image below to determine what size is best for you. A "Regular" sleeve length is equivalant to the sleeve length shown in the size chart. Other sleeve lengths represent +/- 2 inches in length. For example, a 42L has a 28 inch sleeve, 36S has a 21 inch sleeve, etc. Click on the image to view a larger version of the sizing chart. Questions can be emailed to taba@tabaonline.com and special instructions can be included in the Comments box at the bottom of this form.